Under current law, in Switzerland no Swiss online casino can operate legally (foreign gambling websites still accept players from Switzerland, see below). However, all forms of brick and mortar gambling are regulated in the country and operators are eligible for a licence. Between 1921 and 1993 there was a constitutional ban on gambling in Switzerland. After 1993, gaming statutes were enacted to regulate the market. The 1998 legislation, the Federal Act on Games of Chance outlawed all forms of online gambling in the country and it is the reason that there is no legal Swiss online casino and gambling market today. Only the canton lotteries are exempt from the ban – the two licensed providers are allowed to offer their games online. The Swiss gambling market is very well regulated. The Swiss Federal Gaming Board (SFGB) is the governmental body trusted with overseeing Swiss casinos and other land based gambling venues in Switzerland in compliance with the Federal Act on Games of Chance. Gambling licenses are issued by the Swiss Federal Council. Land based lotteries and betting activities are regulated by the Federal Act on Lotteries and Commercial Betting of 1923. The industry is controlled by the Intercantonal Lotteries and Betting Board or ‘Comlot’. The Comlot was established by the cantons in 2006. The legislation still doesn’t allow country-wide lotteries, but cantons are permitted to set up such games on a local level. There is an emerging trend amongst many European countries like France and England in recent years to lift online gambling blanket bans and instead create a legal framework for proper control over the online gambling industry. 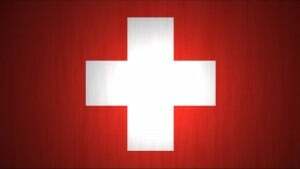 It looks like Switzerland is seeking to revise its stance on online gambling as well. This makes sense, as online gambling is thriving. Because of foreign operators and bans the government only misses out on potential tax revenue from the e-gaming industry. There is proposed law to legalise and regulate the online gambling market but even if it materializes it won’t be enacted before 2019, so for now swiss players can only play on foreign online gambling websites. The proposed regulation would make online gambling operators eligible for a licence, although, only if they also operate registered brick & mortar gambling facilities in the country. The Swiss regulation would also entail an ISP block to filter out unlicensed gambling sites from the market – again, a common move to provide incentive for operators to obtain a licence, and therefore pay taxes to the state. However, it is unlikely that any Swiss online casino would obtain a licence and operate legally in the country before 2019*. Currently, the online gambling market in Switzerland is quite liberal. Although online gambling is outlawed, there are no laws that would criminalise online gambling and individual player who place bets online are not at risk. Also, to this date, there is no known ISP ban on any foreign onlien casino. In Switzerland, casino gambling in land based venues is legal and regulated. With 19 casinos currently in operation, Switzerland has one of the highest land based casino densities in the world*. Most of the Swiss casinos are located in major cities, like Zurich, Basel, Bern and Lucerne. However, there are currently no licensed Swiss online casinos. The government – as mentioned above – is considering lifting the ban on online gambling but it’s most likely years of legislative work before the draft is signed into law. That being said, for now, Swiss players are free to play on any foreign platform that accepts them, as online gambling is not criminalised on an individual level. Generally, two types of land based bingo exist: charity bingo and commercial bingo. In Switzerland, players can find both. In Swiss Casinos Zurich, for instance, bingo nights are held on a regular basis for slot coupons, real money and other sorts of prizes. Online bingo operators are not eligible for a licence in Switzerland. However, Swisslos, one of the two legal and licensed lottery providers in the country does offer a bingo game online. Swiss players are also not prohibited from playing on foreign online platforms. The gaming legislations enacted in Switzerland between 1993 and 1998 sorted games into two categories: games of pure chance and games of chance and skill. In December 2007 the Federal Gaming Board ruled that poker is a game of skill and chance, since then poker tournaments can be held outside of casinos – with the canton’s approval*. After the ruling, poker tournaments started to pop-up all around the country and the game quickly became very popular. However, partly due to the work of the casino lobby and partly, because legislators saw that the game was spreading uncontrollably in 2010, the authorities reversed their stance on poker with a supreme court decision stating that Texas Hold’em is after all a game of chance. That marked the end of the blossoming poker tournament scene in the country and forced the game back into the Swiss casinos. Almost every brick and mortar Swiss casino has poker tables. However, currently there is no Swiss online poker website that would let players play poker online. Online poker is illegal, just like other forms of online gambling in Switzerland.However, although it’s illegal to operate an online poker site from the country, Swiss players are completely free to play poker on foreign online platforms and such sites are not blocked by the government. Sports betting is still prohibited under the Federal Act on Lotteries and Commercial Betting of 1923. There are only two legal forms of wagering on sporting events offered by the only legal lottery provider in the country. One is the sports pool game Sporttip, of the Basel-based Swisslos, and Loterie Romande offers pari-mutuel betting on horse races in the French-speaking parts of the country. Both games have online platforms as well. Online sports betting platforms, apart from the ones operated by the lottery providers are banned. However, the ban is not well enforced and Swiss players are not prosecuted for placing bets with foreign online bookmakers. According to the Federal Act on Lotteries and Commercial Betting, any federal lottery is illegal. However, individual cantons are given the autonomy to establish local lotteries. The two companies, Swisslos and Loterie Romande offer their games in all cantons. Both of them joined Euro Millions in 2004, and both have online platforms as well. With Swisslos and Loterie Romande being the only operators in the country (both state run), the lottery is the monopoly of the state in Switzerland. However, players are free to play on foreign lottery sites. A report on virtual currencies released by the Swiss Federal Council last year stated that Bitcoin and other virtual currencies are not in a legal vacuum, meaning that all transactions in Bitcoin and all businesses specialising in the cryptocurrency fall under current legislations*. For Bitcoin gambling, it means that Bitcoin gambling platforms are currently considered illegal in Switzerland – along with all other forms of online gambling. Take a look at the legal status of gambling and online gambling in Switzerland. Find out why Switzerland has the highest casino density in the world and find online gambling websites accepting players from Switzerland.